The Lot of Boldness was discussed by Abu’Ali in his material on significations for various the types of actions and strivings. He discussed the lot in Chapter 34 of his “On the Judgments of Nativities”, when exploring the topic of boldness. This lot and its lord are the chief indicators of how easily a person can carry out military-style killing. According to Abu Ma’shar and al-Qabisi, the lot is found from Saturn to the Moon by day, or the Moon to Saturn by night, with this distance projected from the Ascendant. As evident in the introductory quote, the Lot of Boldness relates strongly to how easily one can kill. Certainly, this is a very important consideration in the military, where a hesitancy to kill can spell defeat. Another factor that relates strongly to boldness is the prominence of Mars. 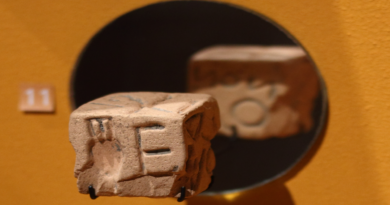 The occurrence of Mars in an angle or “stake” (1st, 10th, 7th, or 4th house) was thought to indicate violence, military action, competitiveness, or the like in the life. Additionally, we see that significators of the self and personality in masculine signs also tends to make one more bold and commanding. James Holmes was the perpetrator of a Colorado mass murderer. 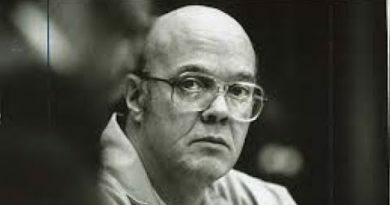 He executed the audience at a movie theater in a manner reminiscent of a military massacre. His natal chart provides a shocking testimony to the potential of this lot. Holmes has his Lot of Boldness at 12 Scorpio, both ruled by and conjunct within one degree (applying) his Mars at 13 Scorpio. 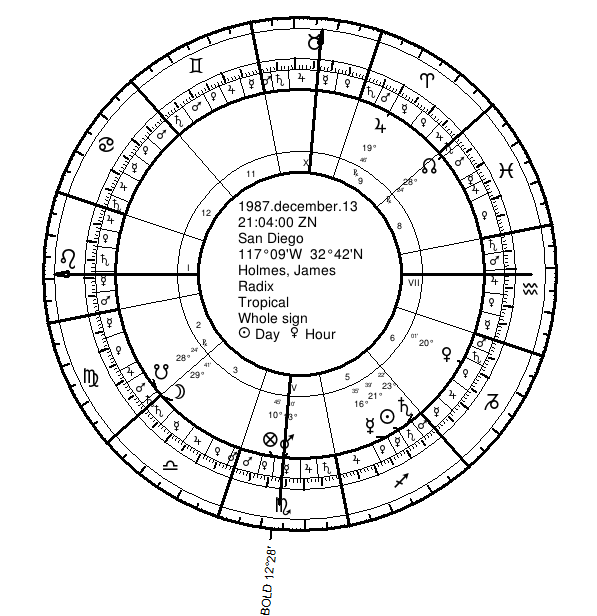 His Mars is very prominent, being conjunct the angle of his IC at 13 Scorpio and his Lot of Fortune at 10 Scorpio. I’ve discussed the character indicators of James Holmes in more detail in another article. 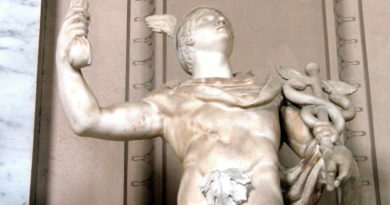 Abu’Ali’s approach to character was to examine Mercury and the lord of the Ascendant. He considered their position in mutable signs to be an indication of instability. Holmes has The Sun (Asc Lord), Moon, Mercury (bound lord of Asc), and Saturn all in mutable signs. Masculine (fire or air) signs make for indications that are more active and outward. We find the Ascendant, its lord, the Sun (which is the lord the Asc), and Mercury additionally all in masculine signs. Mars is in a stake (the 4th), and strongly advancing conjunct the angle of the earth. Interestingly, Abu’Ali, in Ch. 47, on the planets in each house, noted that Mars in the 4th signifies “the shedding of blood, murders, a sad exit [from life]” (Dykes trans., 2009, p. 320). He doesn’t mention murders and shedding blood for any other Mars house position. This may pertain to the 4th because it is the “angle of the earth”, and earth is representative of physicality. The 4th also pertains to endings. The chart of James Holmes provides some indications that the Lot of Boldness warrants further research. This lot may hold some potential in delineating the capacity for cold violence. 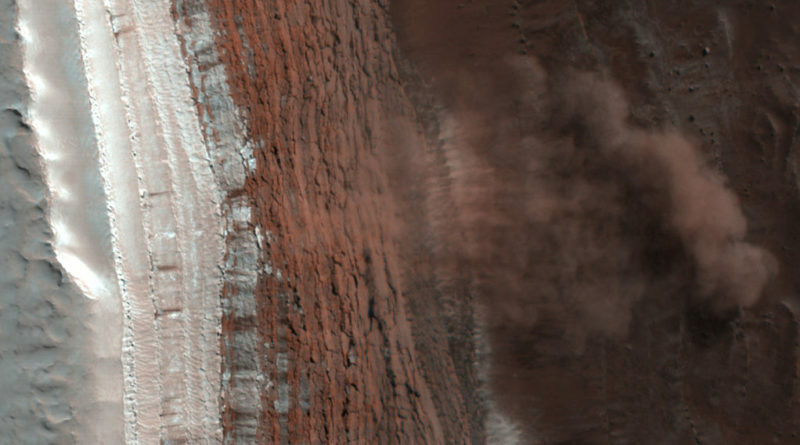 The featured image of an avalanche on Mars on 2/19/08 is in the public domain courtesy of NASA.